So you’ve found a great rate on Compare.com. It’s way cheaper than your current policy and offers you more coverage, you want to switch as soon as you can. Hold your horses; before you switch car insurance companies, there’s a few things you should know. There is a right and a wrong way to change car insurance companies. You could hurt your credit score and possibly raise your premiums with your new company by doing things the wrong way or in the wrong order. We asked the experts here at Compare.com for their top tips on switching car insurance companies. We’ve got a short 3-step checklist to help you change insurance companies the right way, while hopefully saving time and money. It can be tricky to figure out your start date. If your policy expires at midnight, is that midnight Eastern time or Pacific time? Is that midnight Tuesday or midnight Wednesday? Will I get into trouble for having two policies in place? The simple answer: you should always start a new car insurance policy before you end your old policy. It’s better to have a slight overlap than to have any kind of gap, or ‘lapse’ as insurers call it. Lapses in coverage aren’t viewed favorably by insurance companies and could end up costing you money. Public service announcement: You don’t have to wait until your policy renews to cancel! If you’ve found a better deal elsewhere, you can cancel and switch anytime. As long as you notify your current auto insurance provider, usually in writing, there shouldn’t be any problems. If you decide to cancel in the middle of a cycle, your insurer should refund you the unused portion of your premium (unless you’ve made a claim). For more on how to cancel your insurance, check out our article. 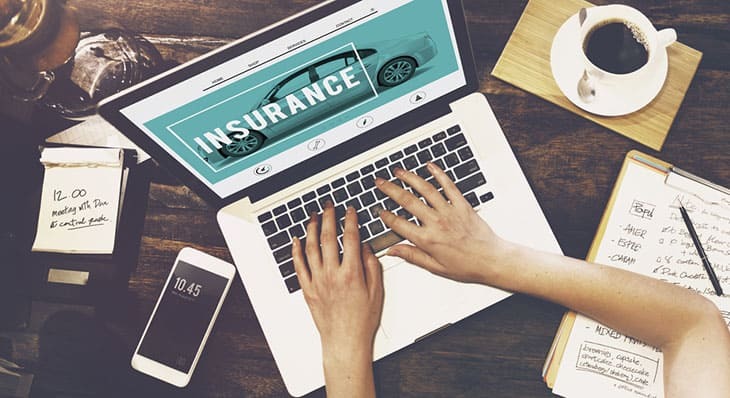 Believe it or not, it’s not uncommon for people to switch car insurance policies and simply cease to pay their previous policy. It could be that you simply forget, or maybe you’re running away and hoping they’ll just cancel on you for unpaid premiums. Not paying bills can negatively affect your credit score and you could be held accountable for missed payments and late fees, so be sure to cancel your old policy. It’s always a good idea to shop around for car insurance. There’s nothing wrong with switching, you deserve access to the best price on car insurance just like any other product. Just make sure that you follow our checklist and do it the right way.